DESCRIPTION – Flat Witch with Broom, 8 inch. $0.50 ea. $0.350 ea. $0.300 ea. $0.250 ea. $0.225 ea. $0.213 ea. $0.200 ea. $0.188 ea. 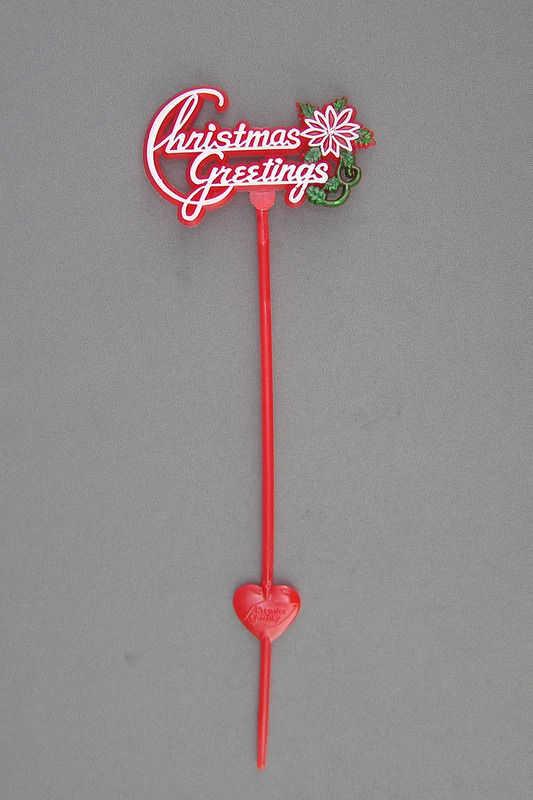 DESCRIPTION – This red with green and white 'Christmas Greetings' florist pick has an overall length of 8 inches, a 6.75 inch stem and is 2.75 inches wide. $0.99 ea. $0.693 ea. $0.594 ea. $0.495 ea. $0.446 ea. $0.421 ea. $0.396 ea. $0.371 ea. DESCRIPTION – This red with green and gold 'Merry Christmas' florist pick has an overall length of 11.25 inches, a 9.25 inch stem and is 3.875 inches wide. DESCRIPTION – These hand-painted "Merry Christmas" florist picks come 3 assorted (Santa, Snowman, and Teddy Bear) in every dozen, have an overall length of 6.25 inches a 4.5 inch stem and are 2.5 inches wide. $0.25 ea. $0.175 ea. $0.15 ea. $0.125 ea. $0.113 ea. $0.106 ea. $0.10 ea. $0.094 ea. DESCRIPTION – This red, white and black 'Santa' florist pick has an overall length of 4 inches, a 3 inch stem and is 1.5 inches wide. 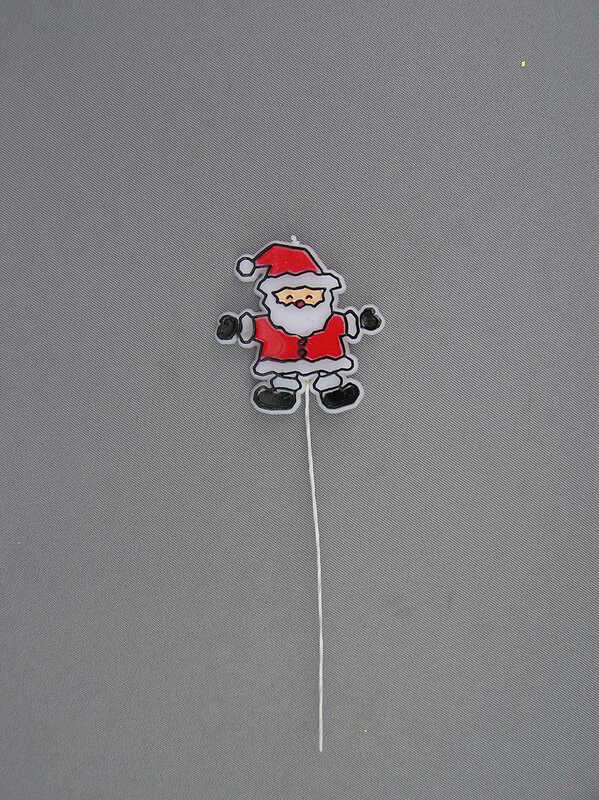 DESCRIPTION – This frosted acrylic sleight Christmas ornament measures 3.25 inches wide, 2.25 inches tall and comes with a gold hanger. 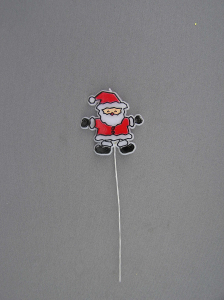 DESCRIPTION – Acrylic Snowman Ornament, 3 inch. DESCRIPTION – Angel Christmas tree topper, 6.5 inches tall, 1 per header bag. DESCRIPTION – Angel Tree Topper, 10 inch. $0.896 ea. $0.846 ea. $0.796 ea. $0.746 ea. 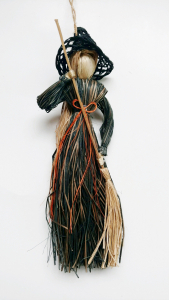 DESCRIPTION – Angel with Instrument Ornament, 2.75 inch, 6 assorted styles. DESCRIPTION – Angel with Trumpet Ornament.